Online Ordering is easy and convenient. 1. Click on the item you would like to order. Make any modifications to the item you'd like, then click Add this Item to Your Order. Continue adding all the items you'd like. 2.When you're done ordering, click on Checkout. 3. If you're a returning customer, Log in to continue, or fill out the information to create your account. 4. 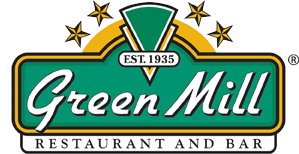 Place Your Order, then head to your local Green Mill if your order was placed for takeout. For delivery, we will be on our way with our bold fresh flavors right to your door! 5. In regards to any refunds, please contact us at (952) 944-3000.